I believe the Lamborghini Miura is one of the most beautiful cars ever made. Marcello Gandini knew what he was doing when he designed it. Its 1966 debut in Geneva gained positive reviews from the public and press. Good design stands out; great design stands the test of time. 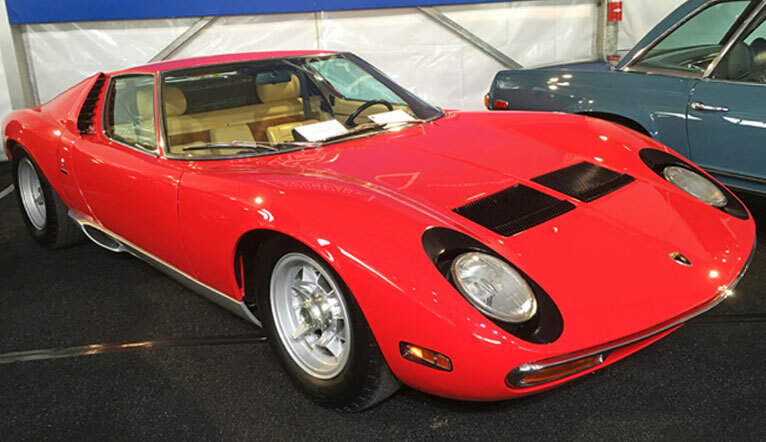 The Miura’s beauty has stood the test of time and has gained the respect of car collectors worldwide with some models topping the one-million-dollar mark. This car is not just a pretty face it also pioneered the mid-engine two seat layout setting the standard for high-performance sports cars as we know them today. Don’t worry it will go fast as it was the fastest production car made when released. The cars inception was not a normal path. 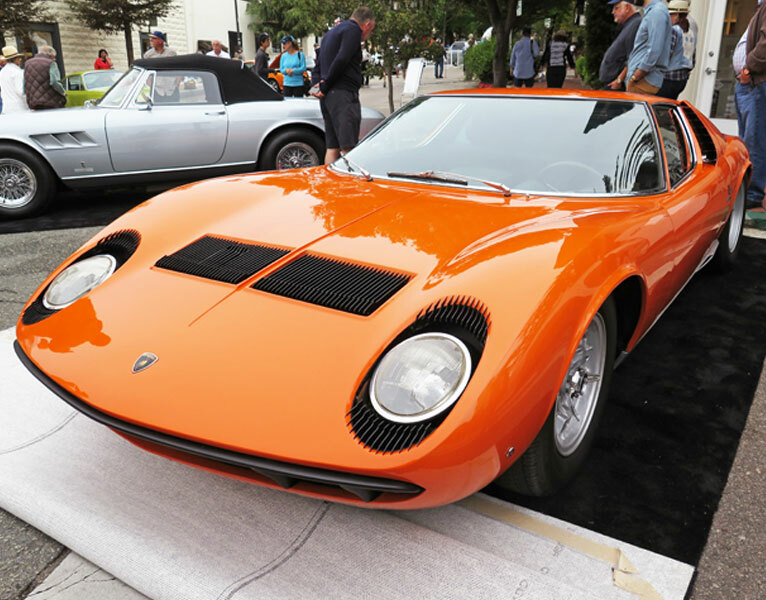 Named after a famous fighting bull the Miura started out as a side project by Lamborghini’s engineering team. But luckily for us the founder Ferruccio Lamborghini (who was not keen on the idea) could not ignore the beauty of the car. And to top it off the car received some of the best coachwork Bertone has ever done. 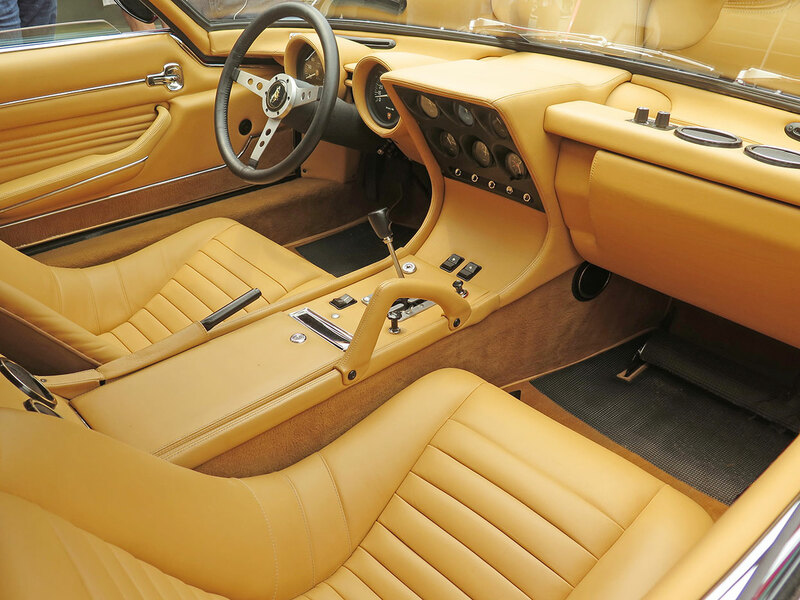 Thus the Miura was born and its success put Lamborghini on the map as a world class supercar manufacture. 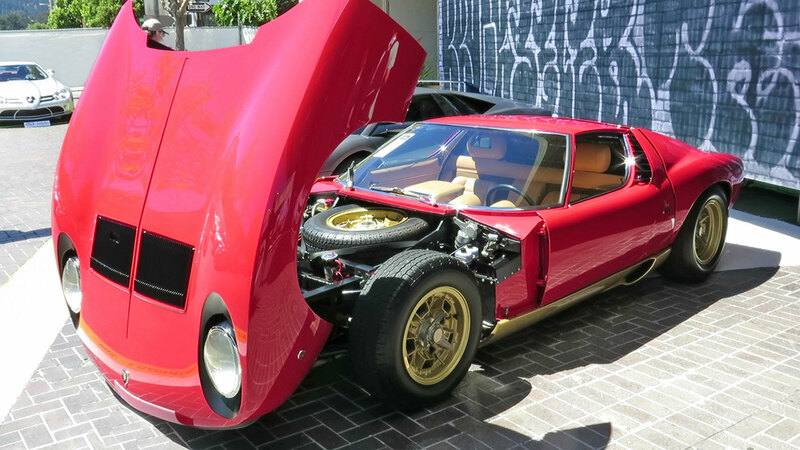 Production began in 1967 with the Miura P400 and it had a big price tag ($20,000 USD). As you might imagine it was pretty exclusive and as a result only 275 P400 cars were produced. An interesting engineering fact: The V-12 engine merged the 5-speed transmission and differential together utilizing a common oil supply for both. You can spot these cars by the lack of chrome around the headlamps and exterior windows. Next came the Miura P400S introduced in November of 1968 with a boosted horsepower from 350 to 370. Still pretty exclusive as only 338 P400S were produced you still had to “be someone” to own one. A-list owner feedback was embraced and the car started to gain some creature comforts with power windows and air conditioning options being offered. You can spot a Miura P400S by the badge on the back and the bright chrome trim around the external windows and headlights. “You buy a Ferrari when you want to be somebody. 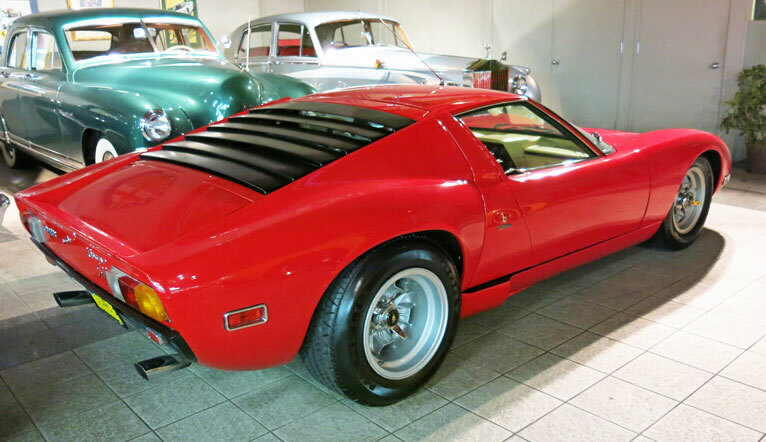 All good things must come to an end and the Miura P400SV was the last in the production series. The design changes were subtle as the wider rear bodywork was incorporated to accommodate larger tires, and in my opinion didn’t hurt the look of the car at all. As with most cars engineering improvements down the line are welcome advantages and in this case they separated the oil supply between the transaxle and engine. This eliminated the potential risk of gearbox metal circulating through the engine and allowed the correct oils to be used for the gearbox and the engine. The 385-hp P400SV is at the top of the heap for Miura fans and only150 cars were produced. 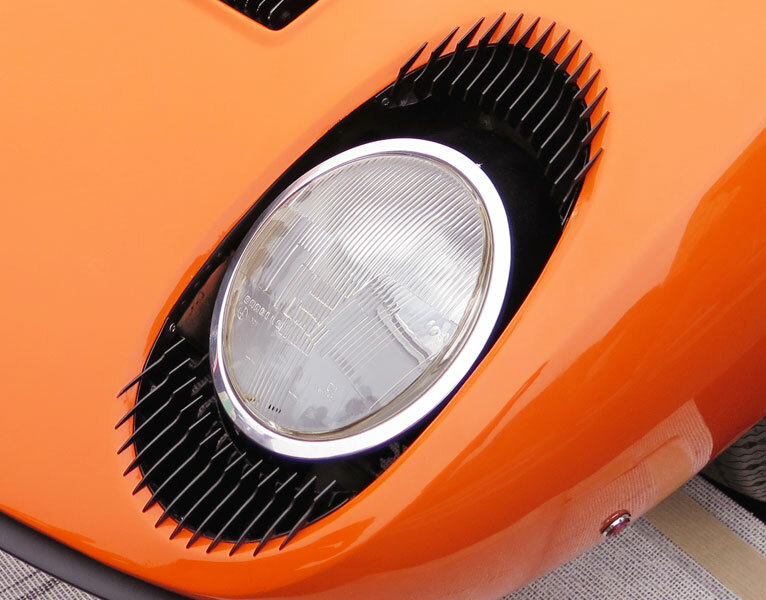 When attending car shows I can instantly identify an SV by its lack of “eyebrows” around the headlights and the more muscular rear body work. 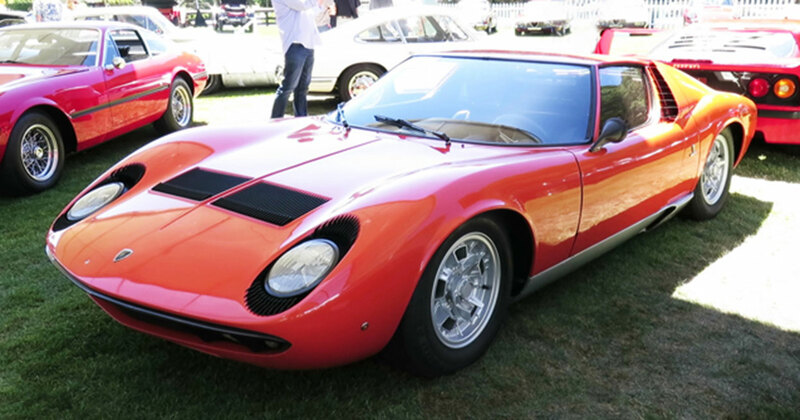 While racing competition was not part of Ferruccio Lamborghini’s program the Miura’s mid-engine design set the standard for supercars to come. Low production numbers and a top speed of over 170 mph help solidify the Lamborghini Miura as a prized collector item that is as capable as it is beautiful.